This is a custom, heavy duty (.80), handmade sheath for the TOPS Fieldcraft by Brothers of Bushcraft, best know as the B.O.B. 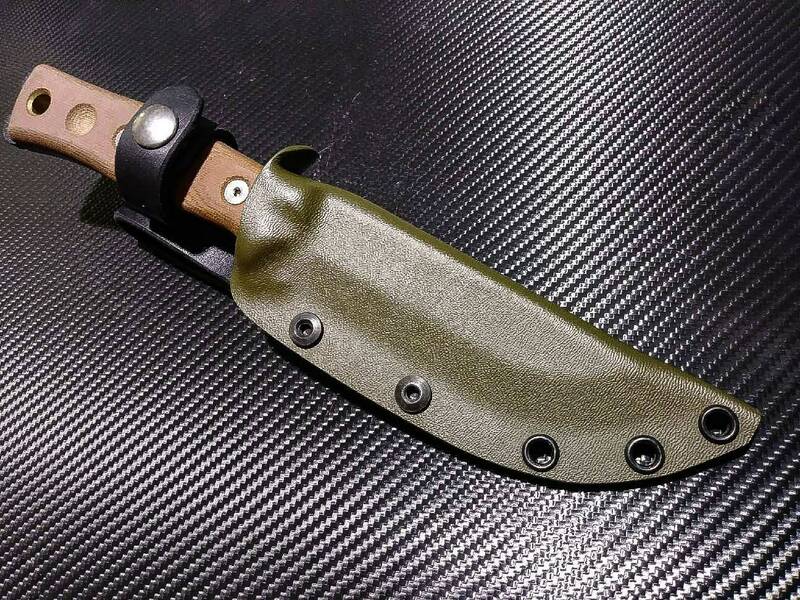 The sheath is an improvement over the thin kydex sheath that comes stock from TOPS. It is available in a variety of colors and can be ordered with either a kydex or leather belt loop, or leather scout straps that allow you to carry it horizontally. 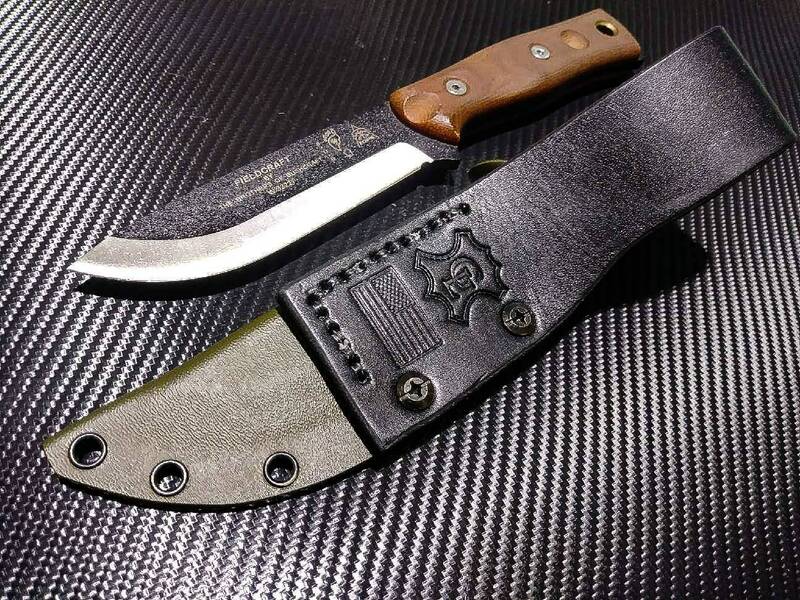 Each option (except for the scout straps) can be ordered with a retention strap that snaps around the handle to keep the knife from bouncing around. There is a thumb groove to assist in drawing the knife and a drain hole in the bottom to prevent fluid buildup. Generally speaking, the Black and OD colored kydex will come with black leather for the loop, and the two brown colors will come with brown leather. There are many other colors available for the leather loops, so for non-Standard colors in both kydex and leather, check out our Kydex/Leather color listing for the option to upgrade.